Into the city centre and this is 216 in Old Market Square. The tram is forming a service from The Forest to Clifton South. British Trams Online is run by enthusiasts for enthusiasts. All information contained on these pages is correct to the best of knowledge but mistakes will invetably occasionally appear and if this happens we will correct it as soon as possible. 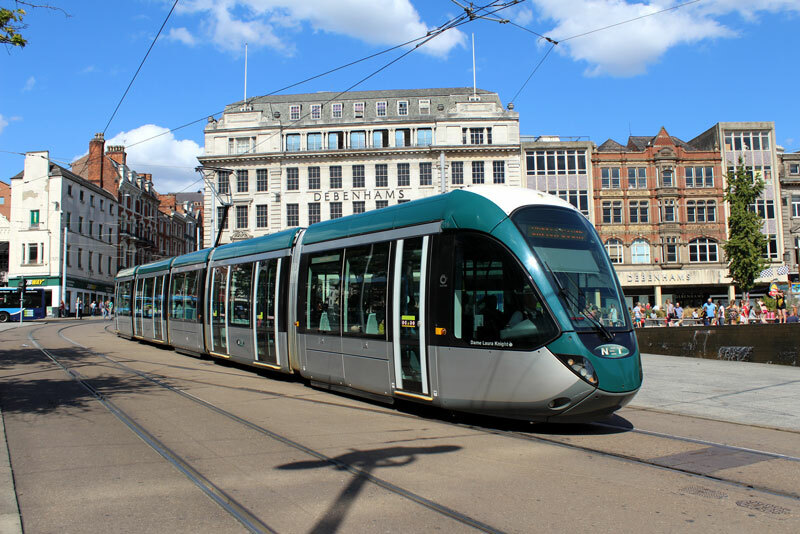 Opinions expressed on these pages are those of the writer(s) and do not necessarily reflect the opinion of British Trams Online or any organisations we are associated with. Cookies may be used on this website and if you continue reading the site without changing your settings we assume you are happy to receive these. If you have any comments, suggestions or corrections please email.